Noah's Ark is probably one of the biggest stories most would call a tall tale within the Bible. Lets look at some of the most difficult questions people have. But before we do that, lets see the dimensions of the ark itself. It was 1.5 football fields long and housed 569 railroad box cars. How did Noah fit the millions and millions of species of animals on this planet into his ark? It doesn't take a mathematical genius to realize the physical impossibility of this. Ref: Yahoo Answer:How many species of dogs are there? 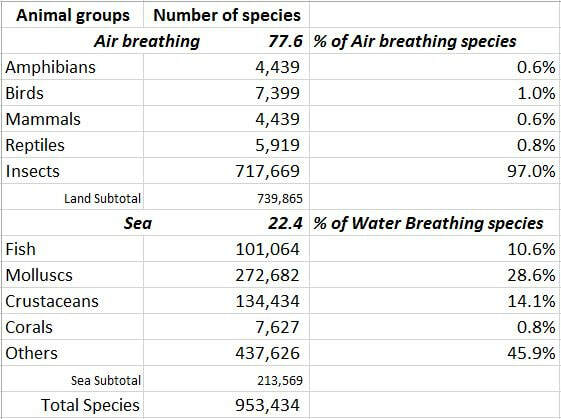 2 of every species, even with that gross miscounting, still comes out to 21,312 animals, which most are NOT the size of an adult sheep. Out of these species, just how many are as large or larger than an adult sheep? It would probably be safe to say that 50% of 10,656 species would be a gross overestimation, are of a sheep size or larger. But even this would result a total of 5,328 creatures x 2 still falls way short of 125,000 adult sheep capacity. Then when you consider bringing on adolescent dinosaurs, which could have been brought on before their growth spurts, you still have roughly 100,000 adult sheep capacity for them to try to fill. 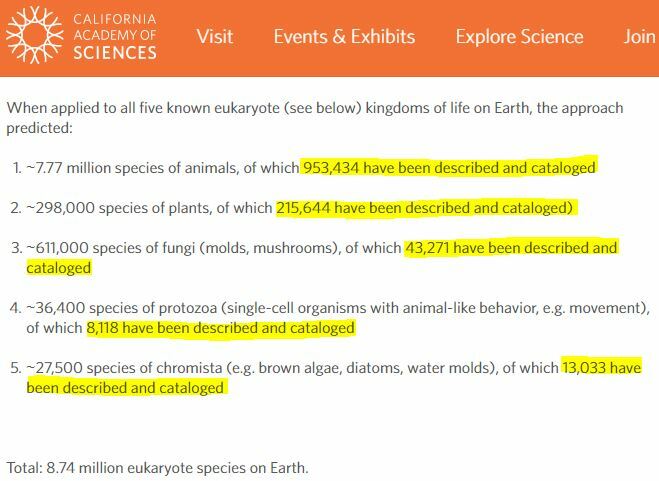 So far we have 540 dinosaurs named and cataloged. Even when you take 2 every kind of dinosaur you still have lots of room left over. And don't forget some of these dinosaurs were water breathing and wouldn't have been taken aboard the Ark. Obviously space was never an issue, when an all knowing God (YWh) was the designer. Noah would have room for 8 humans, 2 of every land animal, bird, and insect, dinosaurs 7 of all clean domesticated creature, and still have room to spare. Would you like to know this awesome God? How could Noah manage keep them aboard for forty days and forty nights? We have to keep in mind we are keeping predator and prey together for some time would mean fewer animals leaving the ark than would have entered. Yet the Bible makes it clear there were no extras of the prey species just in case they were eaten during the 40 days and nights. If you thought 40 day & nights were too much, the Bible ups its ante by stating it was a total of 150 days & nights. But not only that the Bible says Noah and the animals remained aboard for a total of 360 days. Not possible you say? Lets see what science has to say about this. 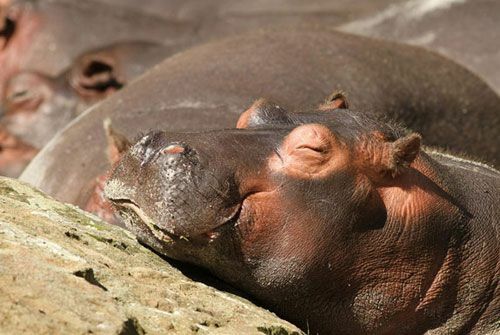 Many of you are familiar with animals that hibernate. Many of you will immediately recall bears, who hibernate through the winter months living solely off the fat they accumulated during the other months, where there was plenty. Many of you may even have had pets who hibernate without you knowing about. No parents, I'm not referring to your children. I'm talking about goldfish, rabbits, turtles, and other pets. For a ship the size of 1.5 football fields in length, with only one window would have made for a very dark interior. That would not have made for a very warm temperature either and obviously there was no food provisioned for these other animals. Since it met at least 2 of the 3 triggers for hibernating, it would probably be safe to say, Noah's ark was basically one giant slumber party for every single animal that entered it until they left 150 days later. Under that circumstance, caring for the animals aboard would have been a simple order for 8 people as their only worries were not to step on any slumbering animals. How the different species get to their current environments from Mt. 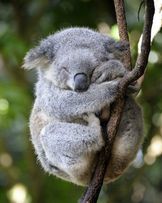 Ararat, especially food specific animals like the koala bears and pandas? Obviously God brought all the animals to the ark from great distances. So I'm sure God would be more than able to act on the animal's instincts to get them all to where they needed to go, for their specific food. Also we know that as climate changes in areas trees and shrubbery can die out in one direction and propagate in another direction. With the movement of the shrubbery, naturally so do the creatures that depend upon it. Often animals, even the tiniest insects, are able to cross hundreds of miles in short times, astounding even scientist. We see this more often in the modern world, as humans decimate forestland. Instead of just dying out immediately, many of the native species simply move deeper into the forest where their particular shrubbery still exist. Same thing probably happened to the Koalas and Pandas. Animals can go weeks without food and survive. Animals can only survive days without water. Free standing fresh water is not always necessary. 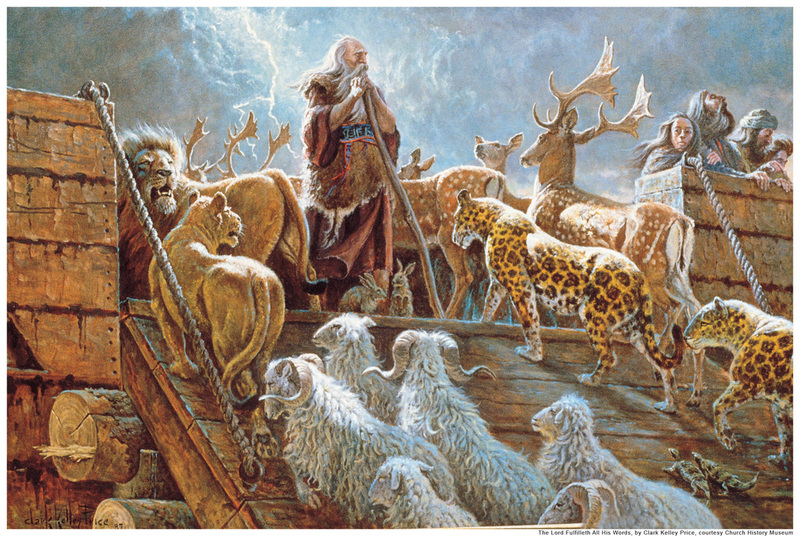 So obviously Koalas and Pandas aren't alone in their long treks from being let off of Noah's Ark. But it is not outside the realm of ability for any of these species to make it to their new post-flood habitats. Instead of asking how God could get them there with their unique dietary needs, we should be asking how this God could care so much to look after so few and lowly animals. For if He cares so much for such lowly animals, how much more do you think He cares about us humans his crowning achievement? We are worth many times what any of these animals are worth. If God provides so well for even them what do you think he wants for you. The truth is he wants to adopt you as His very own son or daughter. In fact He turned heaven and earth upside down to get you and buy you for His own, from Satan who owns this earth and everything that is in it (including us humans). God cared SO much about you that He paid the ultimate price, the life of His own Son, to buy you. He now holds out the forgiveness of any and ALL sins (once and for all) and the adoption as his child of his family as a FREE GIFT to you. How can you pass up such a great, FREE offer? All you have to do to accept is pray this and make Him the only God in your life.